Fazioli pianos was founded by Paolo Fazioli, a pianist and engineer, in 1981; utilizing only a single factory, they are known to produce grand pianos that are individually handcrafted combining high quality materials, excellent workmanship, and the latest in piano technology. Fazioli manufactures six models of grand pianos and one of which (the F308) at being 3.08 meters (>10 ft.) is the longest piano available in the market. One of their models (also the F308) comes with a fourth pedal that when pressed brings the hammers to the strings, thus decreasing the volume of the note while maintaining a normal tone. Fazioli pianos are known worldwide; some are being used as the exclusive piano of choice in certain festivals. One of which is the Umbra Jazz festival which uses the Fazioli F278 and F308 as their exclusive instruments. Each year, about 100 pianos are produced by hand, with over 1,600 pianos having been made, since inception. Jazz artists such as Herbie Hancock, Martial Solal, Brad Mehldau, Chucho Valdez, Michel Camilo, Uri Caine, Kenny Barron, Stefano Bollani, Enrico Pieranunzi, Danilo Rea have been known to use the same models of Fazioli during performances. Other well known pianists who use Fazioli include Aldo Ciccolini, Alfred Brendel, Martha Argerich, Vladimir Ashkenazy, Lazar Bermann, Nikita Magaloff, Michel Beroff, Annie Fischer, Louis Lortis and others, some of which were even one of the very first artists to play the Fazioli pianos. Some have labeled Fazioli pianos as one of the most expensive pianos existing in today’s market. While this may be true, on the other hand, Fazioli has a very good explanation to demand such a ‘reasonable price’. 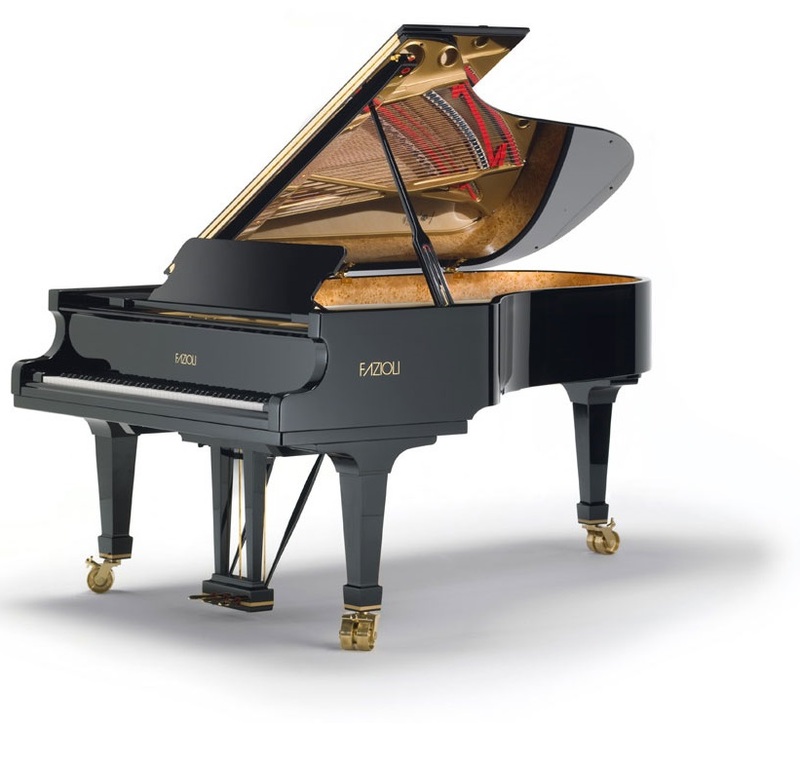 The quality of wood used for each piano, the quality materials used for each part of the instrument such as the strings, the hammers, the soundboard, and the extensive acoustic research spent by the engineers and manufacturer to produce such amazing pianos, are reasons enough for their practical prices. Methods that are used in Faziol's production process, can be explained in 30 videos, on the company's website. Prices of NEW Fazioli pianos can be found, here. Looking for a gently used, Fazioli grand piano with a warranty, service plan, and delivery? Or, do you wish to sell your Fazioli piano, soon?